Different people react differently to the news that Beau Peep is no longer appearing in the Star. Some are 'sad' or 'gutted'. Others are 'angry'. Other still, insanely, decide it's time to create a board game. 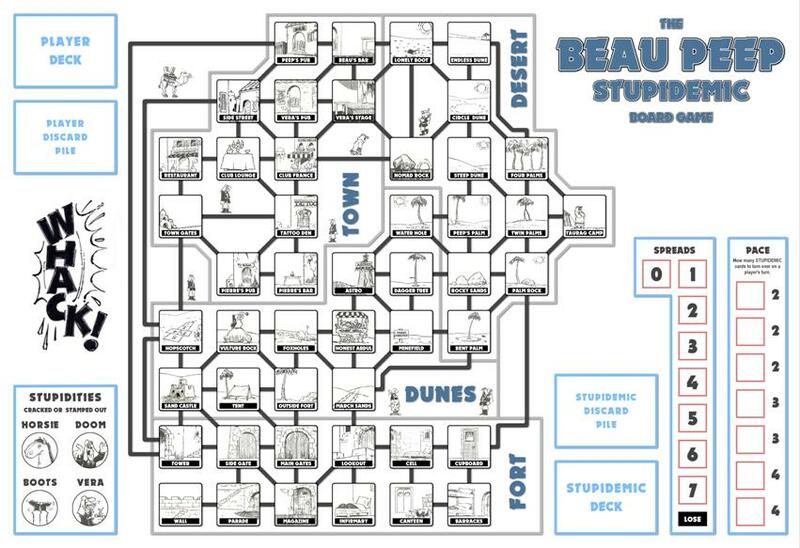 Now my initial plan was to create an original board game, based strongly on the strips, something I still intend to do, but since the news came close to Christmas, I decided to base the first Beau Peep board game on a game whose theme could be translated to Beau Peep. And I found one that fit perfectly. Let me introduce you to Pandemic, an award-winning board game in which the players have to prevent four diseases from wiping out the world. The great thing about this game is that it's co-operative, which means that the players work together to win the game and find cures for the diseases. And that's just great fun! Everyone gets involved on everyone's turn, devising strategies together to prevent the spread of the diseases. No one sits around waiting for their turn. No one gets knocked out the game. Either everyone wins or everyone loses. I realised I could change this for the Beau Peep board game. The legionnaires who travelled from places in the fort and desert and town could become stupid instead of ill, and the players would have to cure the legionnaires of their stupidity by punching some sense into them. For this reason, I called the game BEAU PEEP Stupidemic. 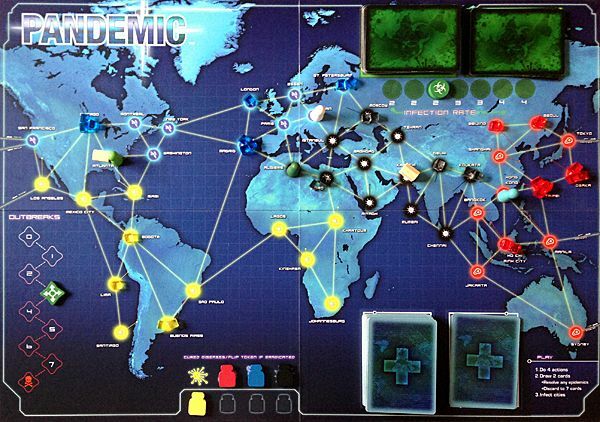 Here's the Pandemic board, showing the cities of the world that are becoming infected by the diseases. The first thing I noticed about the game was that the names and positions of the cities were irrelevant, and both could easily be changed. All that mattered was the connections between cities. Provided these were kept the same, the places could be changed to Barracks and Pierre's Pub and Endless Dunes. I fed these connections into a program called yEd Graph Editor and then re-arranged them. 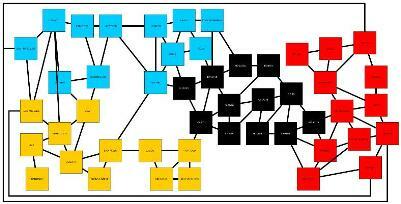 And this gave the final board layout, which, after some graphics work, looked like this. I'll explain in the next post how I changed other elements of the game and created the images for the board and cards. I've been privileged to see a prototype of this game and the work involved is mind-boggling. (Actually, calling it a "prototype" is unjust---it already looks polished and professional). So far, I haven't managed to sit down and play the game---my Christmas family get-together was far too brief---but the whole set-up is hugely entertaining. I look forward to that amazing genius, Mince's description of how he put the whole amazing thing together. 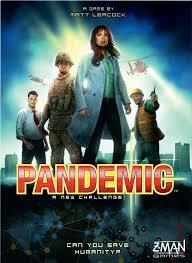 Oddly enough, I had not played Pandemic before I made the Stupidemic game. I played Stupidemic on Christmas Day with my wife and her brother and mother. We enjoyed the game so much we played four more times in the next two days. My brother-in-law has never heard of Beau Peep before, but he laughed at the strips I showed him and he loves being Mad Pierre in the game, so I gave him my copy of the game to take with him to play with his friends and I am making another copy for me and my wife. 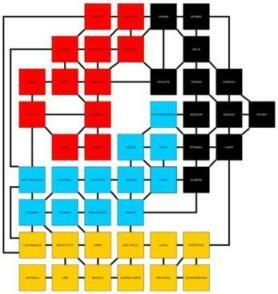 The game needs 48 places split into 4 areas. At first I thought this would be easy, given that I had the first ten books to take images from. But Beau Peep had fewer places than I thought, and I ended up with places like 'Cupboard' in the Fort, 'Hopscotch' in the Dunes, 'Lonely Boot' in the Desert, and 'Side Street' in the Town. I also had to remove the Beau Peep characters from the images and fill in the gaps, which was not always easy, given that I am not an artist. And once I had the 48 images, I then had to add a white-on-black label, which for some of the images involved raising or squashing the image, and changing the name to something that would fit in the label, and so 'Parade Ground' became 'Parade', 'Broom Cupboard' became 'Broom', 'Marching Sands' became 'March Sands'. All in all, it was a lot of work. This hasn't been a 5 minute job, me old chumly, has it? No, it took quite a while. But I don't regret any of it. As I said, it was great fun. There's a game called Pandemic Legacy: Season 1, a spinoff version of Pandemic that adds an ongoing twelve-month storyline to the game. That game is currently rated by the influential Board Game Geek website as the greatest board game ever made. Reviewers of the game have called it 'utterly unique', 'unlikely any board game that you will have played before', and 'frankly stunning'. So I guess I'm interested to see what it's like. If it's any good, I might think about Stupidemic Legacy. Blimey! This is all getting a little scary. Can't recall ever having a sleepless night over Ludo. Tour de force, that amazing genius, Mincey! Yes, the things he says seem to clash with the idea that it's just a board game, but then I suppose you could say something is just a television series, or just a book, or just a comic strip. I am curious to see how these game designers have achieved what everyone is raving on about. How do you, er, actually play it ? You have to play it intelligently, or you lose. Do you want me to send you the rules? Has this post just ‘died’? Where are the rules and can we get/make a copy. P.s. Amazing work that amazing genius, Mince. I'm sure Roger or Tarquin or Sandy will sell you their as-yet-unplayed copy of the game. While I openly admit to have never played the game, I fully appreciate the amount of work, inventiveness and time that went into making it---as I told you when you kindly sent me the finished article. I did---as I also told you---go through the whole thing and was HUGELY impressed by it. The thought processes and work involved are astonishing. Apart from, say, an annual game of Scrabble, I simply don't play board games and neither does my wife. That doesn't take away from my genuine admiration. Roger, your bitterness-detecting skills are worse than your golf (snore). I enjoyed immensely your reaction to receiving the game (which at one point I thought the postie had stolen) and have no problem with you not playing it. Likewise, I would not take up golf (snore) if you sent me a signed golf (snore) club. Creating that game was its own reward: sending a copy to you was slight gloating on my part at the sheer extent of the genius I display on a daily basis. I would not be offended, indeed rather pleased, if you sent your copy to Bilthehut, as he seems to be more into games. Sandy and Tarks, of course, have a lot to answer for.